Don't you wish you could have some? I hope you have a wonderful birthday Sweetheart. The cake looks even more impressive in person. I DO wish I were you! That looks awesome! 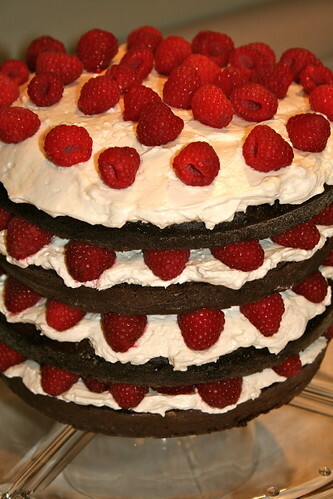 (I've been drooling over a 14-layer cake on Bakerella for a while. This looks like it would even top that!) Have a great day! um why yes, I do wish I could have some. This looks lovely! A flawless beauty, just like you!